To define the target and goal of your career, you have to mention the resume objectives. Resume objectives should be concise but sensible and impressive. You have to write the objective in such a way that it shows capabilities in you which are required for the particular job. 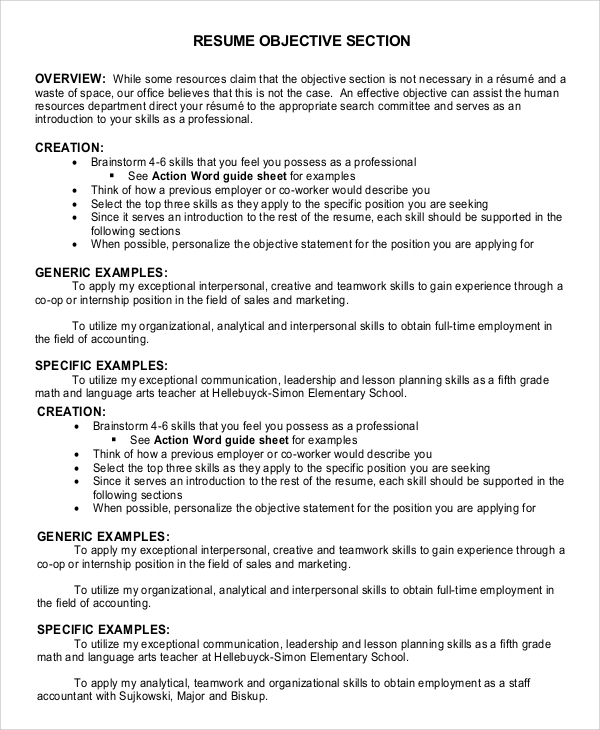 Here we are trying to mention some of the examples and formats of the Sample Resumes for some specific positions. This will help you to clear your vision about the objective of the resumes. 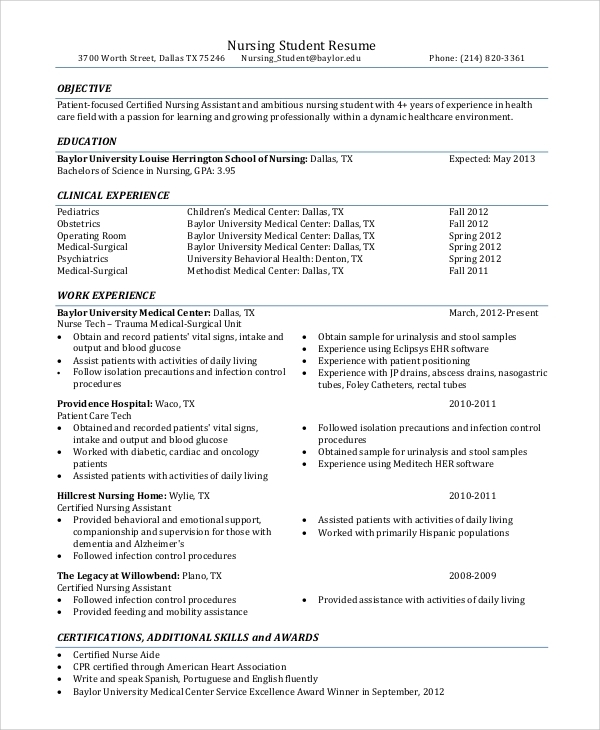 Resume objective of the nursing student should show his/her passion towards his/her work and his/her sense of responsibility towards the patients. 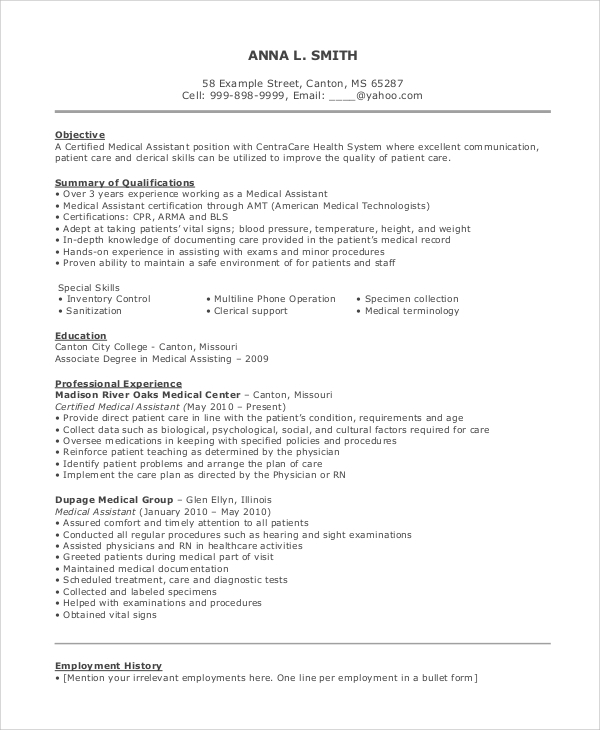 The Nursing Resume Objectives should be brief yet describe all the essential elements. The objective should contain all the achievements of the candidate which will describe the skills which are mandatory for the job. Experience should be clearly mentioned as it will be a positive point for you. 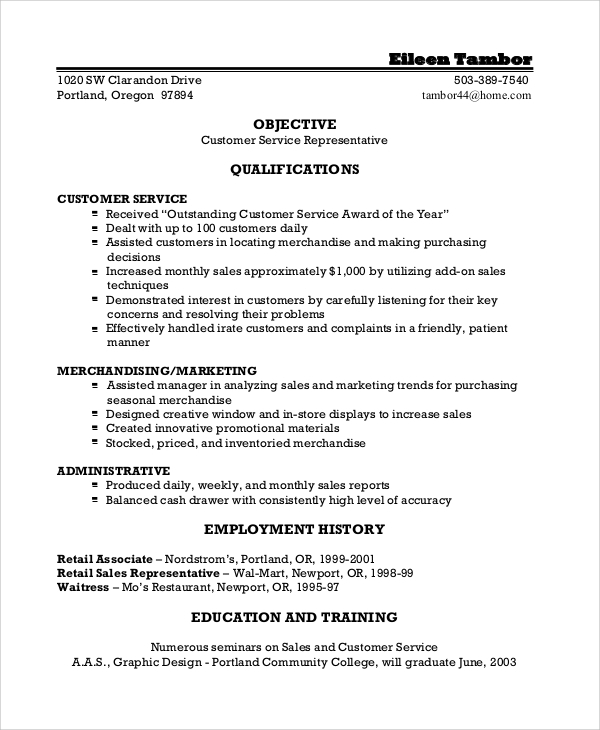 The resume regarding this position should include the motive for joining the specific post. How and why you are capable for the job and will do justice towards your work. 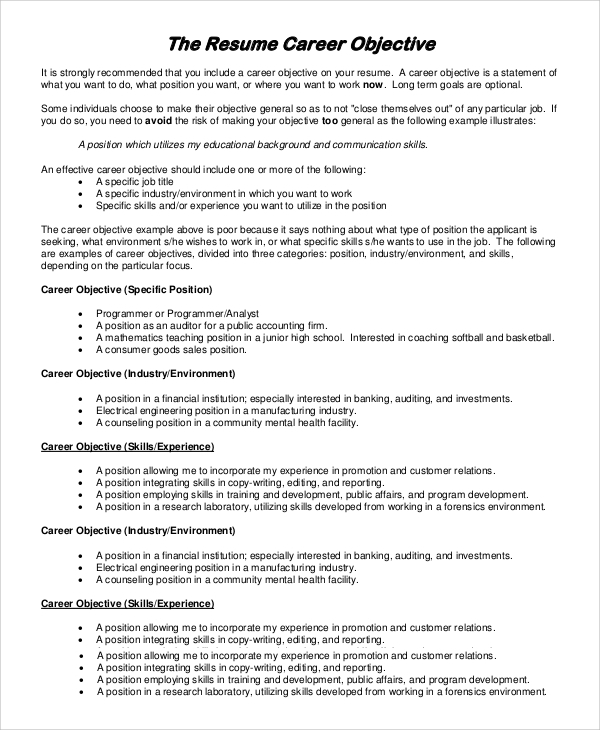 A Sample Resume Objectives is a statement that appears at the primary stage of your resume, and it decides how to portray the rest of your resume. It outlines your career direction while simultaneously representing you as the one the employer might be looking for. It is mandatory to check if the content of your resume supports the objective you have mentioned. Keep it simple and related or general so that you can use it while switching careers or for your two different resumes for two career options. Make sure you show your effort on every phase of it. Your objective should include your qualifications which should be summarized. The position which you are looking for and your career goals should be mentioned clearly. 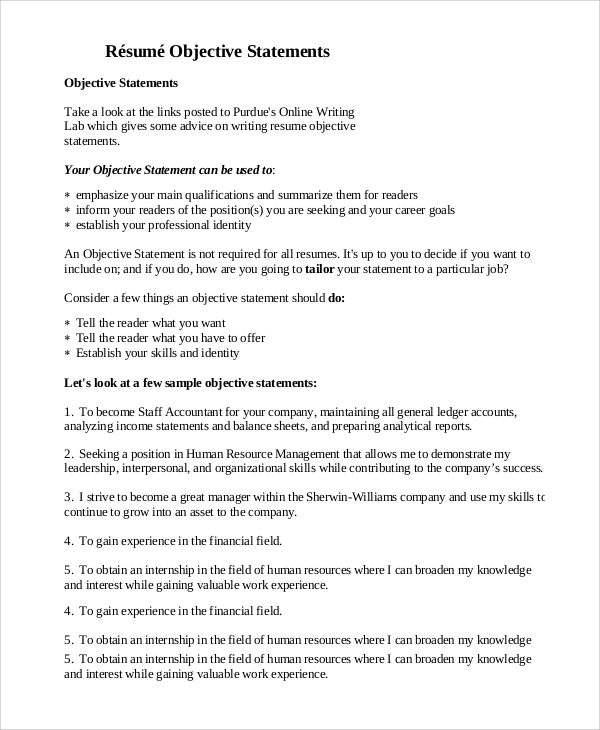 The Sample Resume Objective Statements should be written in a way that it shows your professional identity. The Resume Career Objectives should include the specific title of the job, environment and surroundings which you are expecting and the specific skills which are required for the job. All these things will be the backbone of your resume. 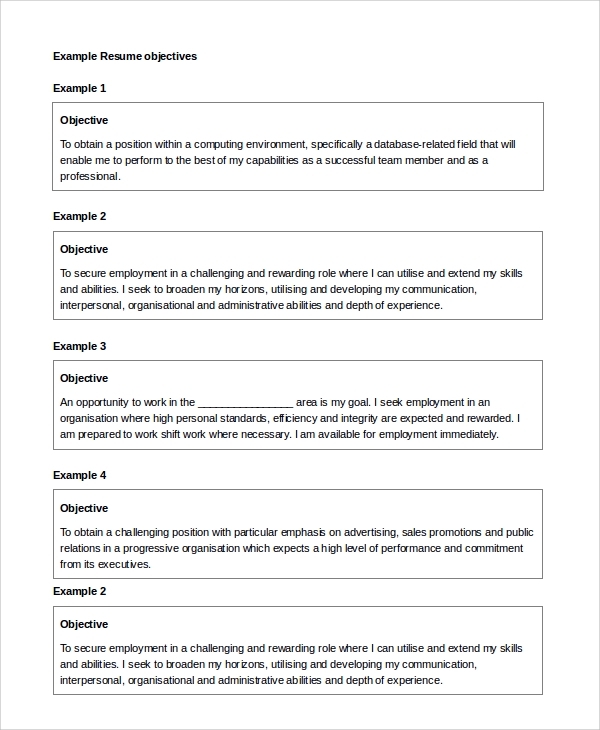 Is it Necessary to use Resume Objective Examples? It is widely believed as of now that the objective statements are fallen out of trend. That is because it is said that the employers and recruiters don’t even read them. That is not necessarily because they are not needed. It is because most of them are similar, copy-pasted and badly-written. No one would like to read a vague, repeated, non-relative statement at all. 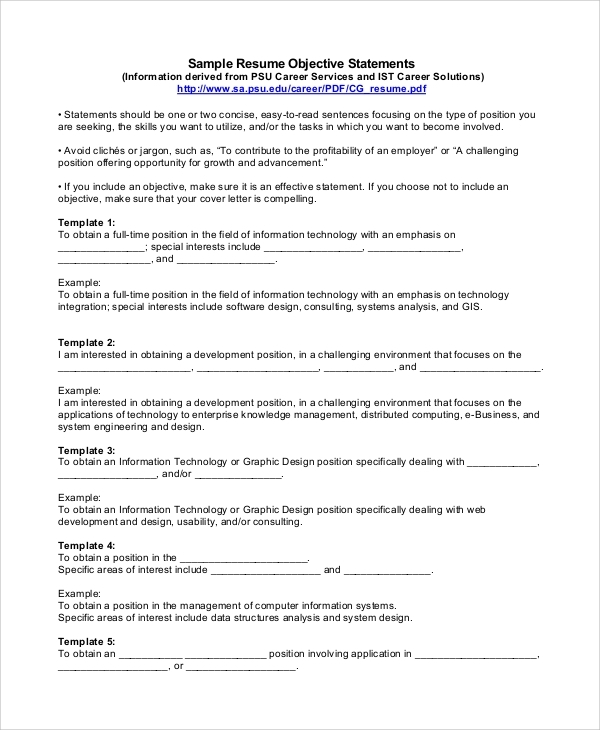 Making a Sample Good Resume Objectives necessary solely depends on the individual. Make it attractive, crisp and in a way that could help to sharpen the focus of your resume and it will be read. We have tried to mention sufficient Sample Resume Objective Examples to clear the concept of resumes objectives for you so that you will not attempt the mistakes which can decrease the chances of failure for you. Remember the key points of the specific resumes mentioned above and try to implement these things in future for better results.